Location: Brookline, MA. Close to the Harvard Ave. stop on the B (green) MBTA line, or the Coolidge Corner stop on the C (green) line. Please RSVP to receive the address. RSVP details below. Annabelle will demonstrate how to make homemade moisturizer creams, shampoos, lip balms, and more, all made with natural ingredients. She will discuss the ingredients used for these products, and how the recipes can be customized to suit individuals' needs. RSVP: on the Urban Homeasteaders' League or by e-mailing me at info[at]herbalmedicinebox.com. This weekend there are two wonderful events with gardening workshops galore, to get pumped for the spring season! On Saturday, March 26, from 11 am - 5 pm, the Boston Natural Areas Networks will be holding their 36th Annual Gardeners Gathering at the Curry Student Center at Northeastern University. From their website: "Gardening workshops for community and residential gardeners for both beginner and experienced gardeners. Enjoy networking, door prizes, info gallery, community garden awards, and more! All invited to join with more than 300 community gardeners to welcome spring. Free event, all welcome, walk-in registration..." For more information about the event, click here. 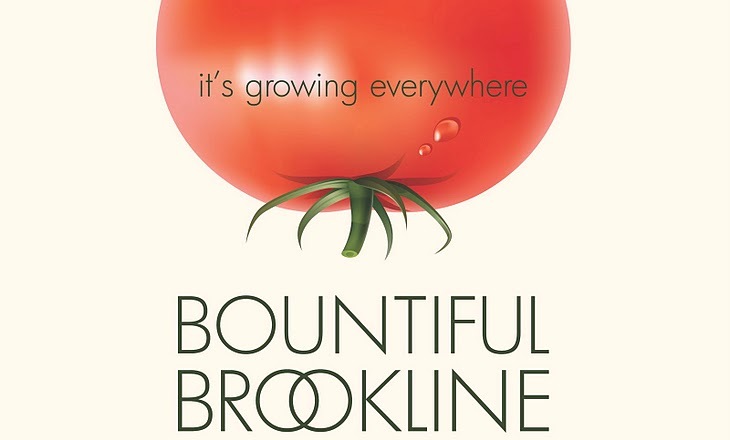 On Sunday, March 27, from 10 am - 4 pm, is Bountiful Brookline's annual Spring into Gardening event at the Pierce School at 50 School St., Brookline, MA. A day full of workshops, panels, keynote speech given by Greg Watson, a demonstration area, children's activities, and more. General admission is $10/person, $20/family. Or if you volunteer at the event for 2 hours, general admission is FREE. If you're interested in volunteering, contact bountifulbrooklineevent [at] gmail.com. For more information on the event, go here. I will be teaching a Food Preservation and Fermentation Workshop at Spring into Gardening at 2 pm: "This workshop will provide a brief overview of various methods of food preservation, including drying herbs, canning, and fermenting. Emphasis will be on fermentation. This workshop will include a demonstration on how to make sauerkraut." I am looking forward to the workshop and I hope to see you there! 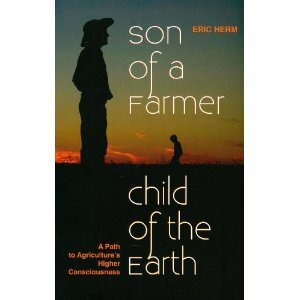 Book Talk with Author Eric Herm: "Son of a Farmer, Child of the Earth"
Location: Brookline, MA. The location is close to the Harvard Ave. stop on the B (green) line and the Coolidge Corner stop on the C (green) line. For the address, please RSVP (RSVP details are below). Join us for a book talk, Q & A, and signing of the book Son of a Farmer, Child of the Earth, with author and 4th generation farmer Eric Herm, who lives on a farm in West Texas. Son of a Farmer, Child of the Earth examines commercial agriculture's strain on our natural resources, delicate ecosystems, and the farmer. As a fourth-generation farmer, Eric Herm deals with the harsh economic realities and complicated legislation facing farmers, as well as the undeniable health impact of GMO crops and excessive chemicals on all living creatures. Son of a Farmer, Child of the Earth provides ample resources of natural, healthy alternatives that will inspire the farmers’ transformation from corporate-motivated producers back to the flesh and bone guardian angels of the Earth. Eric Herm grew up on a cotton farm near Ackerly, Texas. He left the farm to pursue other interests, traveling to various places across the world before returning to his roots. Upon arriving back on his family farm, he noticed many changes in not only the landscape but the methods of commercial agriculture that were causing more long-term problems. He began searching for answers to these problems, slowly discovering healthier organic methods which provided the inspiration for his book, Son of a Farmer, Child of the Earth. For more information about the book, please visit the website: http://www.sonofafarmer.com. To RSVP: RSVP through The Urban Homesteaders' League, on Facebook, or by e-mailing me at info[at]herbalmedicinebox.com. I am looking forward to the event, and I hope to see you there!